Well today is Brians first full day of Sgt. 's Course. So that means I am flying solo for the rest of the week and all of the weekdays until December (He gets to come home for the weekends). Use one big bunch of Kale. Trim off stems and cut into bite size pieces. Spread out on cookie sheets. 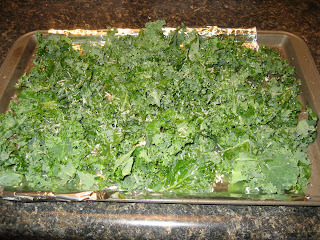 Bake for about 15 minutes, until edges are brown and kale is crispy when moved in pan. Oh my goodness these are actually really good. They do taste kinda potato chips. 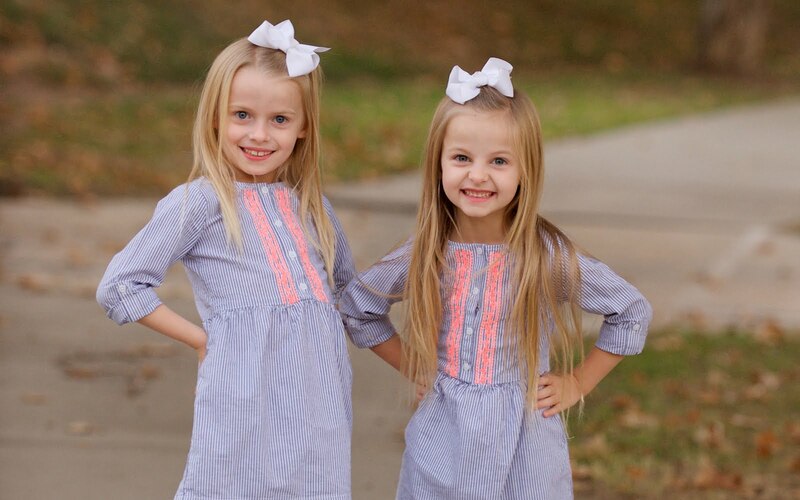 I will definitly be making these again! Next time I will do a little less salt though. What a fun way to get in those greens! I did try them and they were a pleasent surprise! 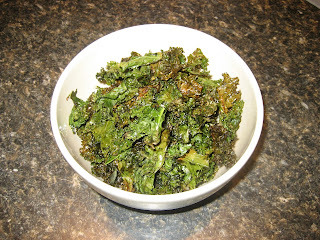 I turned down the heat for the second batch though to 325 Plus the Kale was only 98 cents :) Thanx for the good snack recipe!